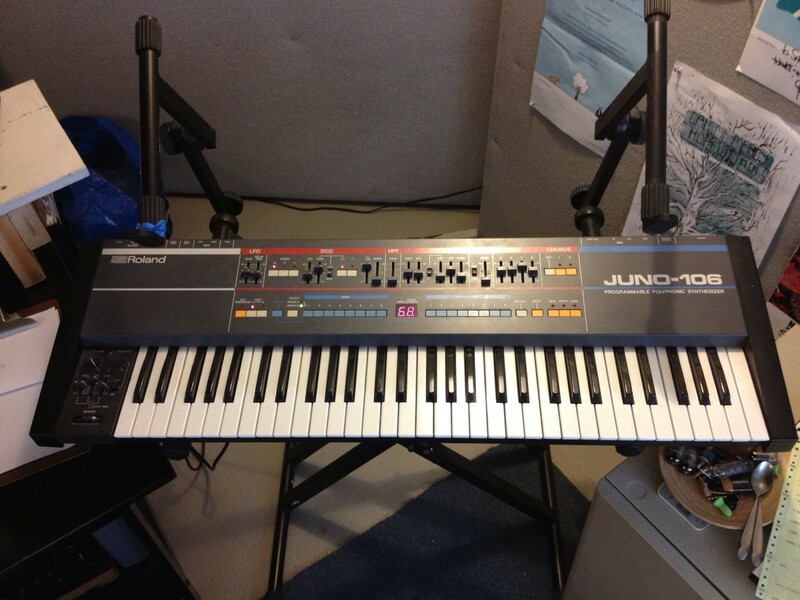 "This Juno has been serviced by Sean at timewarp music in L.A. The really great thing about this specimen, is that the epoxy has been removed from the voice chips. Roland covered the juno voice chips with black epoxy to make it harder for their competitors to copy the circuits. unfortunately the epoxy becomes conductive over time and shorts out the voice chips, which is why junos with missing voices are so common. With proper care this keyboard will provide many years of reliable, stable performance..."